Since 2010, Glass Eye Pix topper Larry Fessenden and filmmaker Glenn McQuaid (I SELL THE DEAD) have spearheaded the TALES FROM BEYOND THE PALE horror audio-drama series, and now the duo have penned two new tales for a limited-run vinyl release. 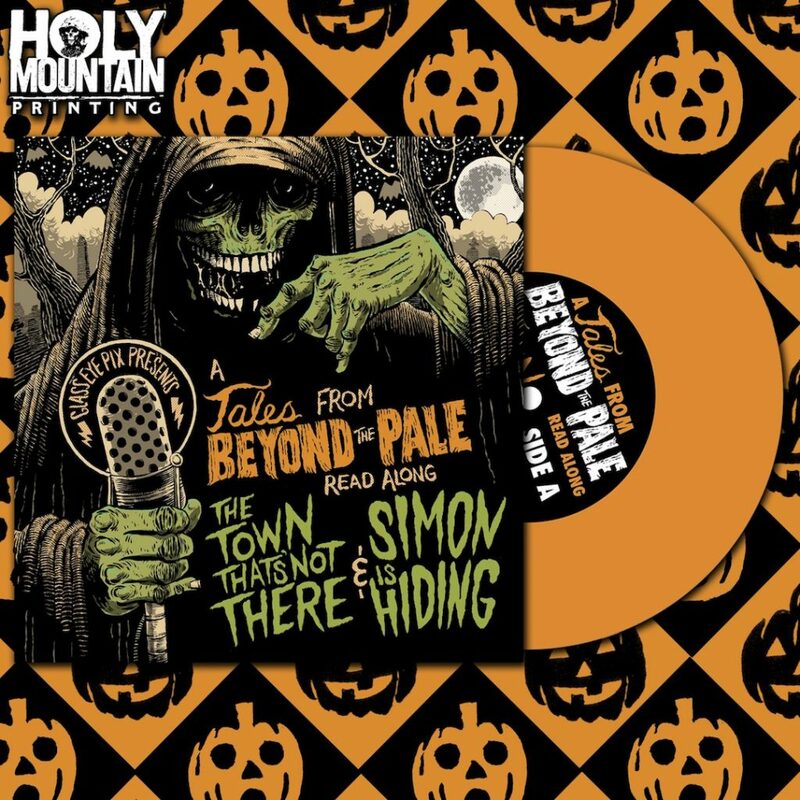 Today, Holy Mountain Printing has put a 7-inch read-along TALES vinyl release up for sale. The record includes a pair of fantastical poems, McQuaid’s “The Town That Isn’t There” and Fessenden’s “Simon is Hiding,” both read by Fessenden and accompanied by the duo’s sound design. Also included is a multi-spread read-along booklet illustrated by Sam Heimer; the product was produced by Holy Mountain’s Danny Trudell. The initial run will be 500 discs, 350 of them pressed in orange and 150 in half-orange/half-black. You can order the record here; it will also be available in select stores November 23 via distributor Closed Casket Activities. The TALES duo and Holy Mountain have more vinyl collaborations to come, derived from the series’ back catalog; we’ll bring you the details as they arise. For more on TALES, hit up its official website.